In 1970, Ken Westerfield and Jim Kenner moved from Michigan to Toronto, setting up their Frisbee playing headquarters in Queens Park. Playing Frisbee freestyle and object disc golf became a daily event at the park. In 1971, with a hundred dollars each, bedrolls and a Frisbee, they set out to hitchhike across Canada, stopping to do improv Frisbee street performances at popular annual events, the Klondike Days in Edmonton and the Calgary Stampede in Alberta. Concluding their cross-country hitchhiking tour in Vancouver, they made their summer home in the Yippie (Youth International Party) founded “All Seasons Park” (tent city). This park was a protest against the Four Seasons company plans to build a complex on two blocks adjacent to Stanley Park, which was inspired and modeled after People’s Park in Berkeley, CA, formed two years prior. Westerfield and Kenner, although not politically affiliated with the Yippies, still made the protested park their home while performing nightly Frisbee shows in the historic Gastown area, in front of a railroad car turn restaurant, oddly enough called Frisby’s. Because of the urban settings, free-styling with a Frisbee at night in front of crowds in the streets was very surreal. They would bounce the disc off the buildings, throw around statues, skip the Frisbee through traffic and throw over mobs of interested spectators. In the fall of 1971, wanting to return to Toronto they needed travel money. Continuing to perform at Frisby’s, they decided they would try to collect money like street musicians. It was a success. Returning to Toronto they lived in the notorious counter-cultural Rochdale College while performing Frisbee shows on the Yonge Street Mall. Nightly, thousands of tourists and Torontonians would enjoy displays of their Frisbee expertise, while friends would use a Frisbee to collect donations. Wanting to add professional legitimacy to their Frisbee show, they approached Irwin Toy, the distributor of Frisbee’s in Canada and proposed their show to promote the Frisbee. Their first professional performance was a basketball half-time show at Jarvis Collegiate Institute in Toronto. The students loved it; Westerfield and Kenner were only paid twenty dollars each for the show, but more importantly, they had proven that their show would be beneficial in helping the company to promote the Frisbee. In 1972, they were retained by Irwin Toy to perform at special community and sporting events across Canada. Each year beginning in 1974 their Canadian tour would end in Vancouver where they would conduct their Vancouver Open Frisbee Championships (1974-1977) on Kitsilano Beach and Stanley Park. These Irwin tours also included teaching and conducting contests for the Jr. Frisbee Program assisted by the Canadian Parks and Recreation. This program was adopted from the successful Wham-O, Jr Frisbee Program in the United States. 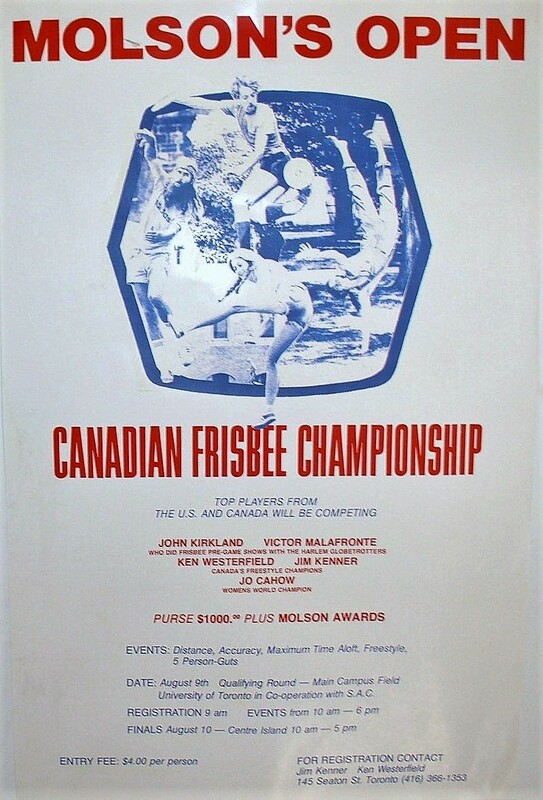 Ken Westerfield and Jim Kenner teamed up with Andrew Davidson, early Canadian disc sport promoter and Jeff Otis, event coordinator for the Canadian National Exhibition (CNE), to produce the Canadian Open Frisbee Championships in conjunction with the Canadian National Exhibition. The event began in 1972 with Guts and Distance, and later added Freestyle and Accuracy. 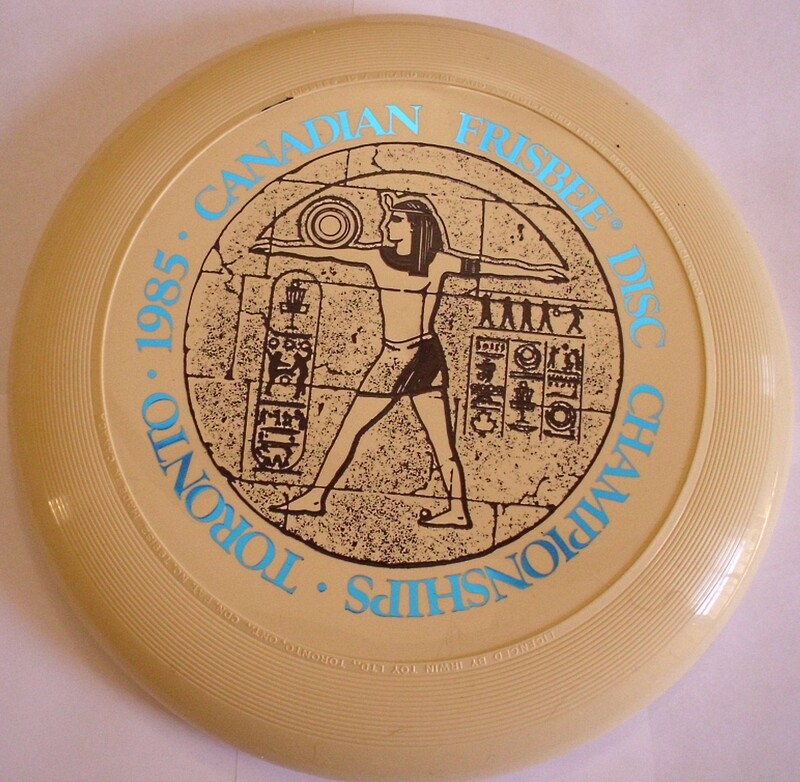 In 1975, the Canadian Open Frisbee Championships moved to Toronto Islands where disc golf, ultimate and the individual field events were added to the original events that began at the CNE. Actually, in 1973, Westerfield and Kenner, wanting to see if there were other Frisbee freestylers, had decided to add their idea of a Frisbee Freestyle competition to the 2nd Canadian Open Frisbee Championships, but due to a lack of competitors, the freestyle event was canceled. The only two other freestylers that showed up in 1973 were Victor Malafronte and Jo Cahow, who performed a Freestyle demonstration that wowed the crowd. This was the first time Ken and Jim would see other highly skilled freestylers. 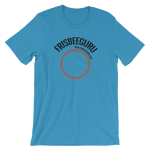 Unknown to Ken and Jim at the time, there had been the beginning of a growing Frisbee freestyle swell in the United States centered in Berkeley, New York, Ann Arbor, New Jersey and Chicago. 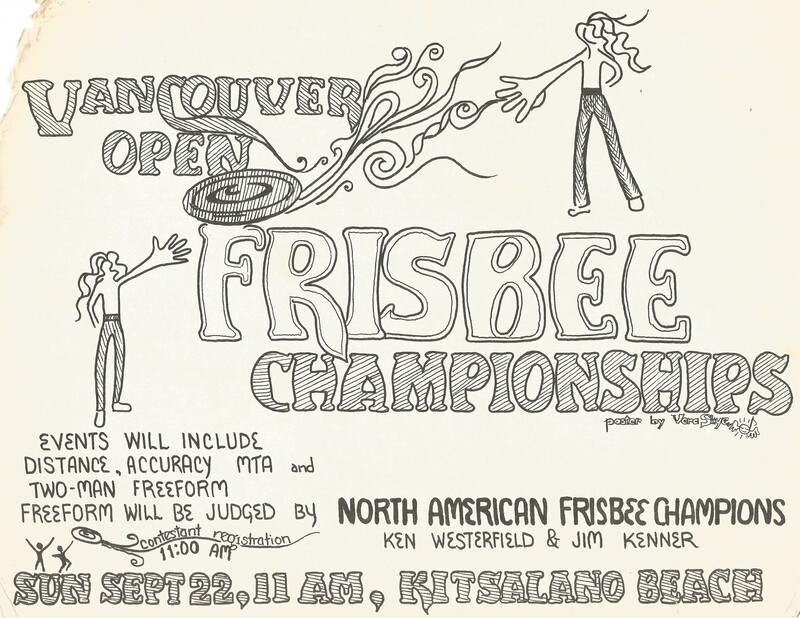 In 1974, at the 3rd annual Canadian Open Frisbee Championships, Westerfield and Kenner introduced the first ever freestyle competitive event called Freestyle which was attended by players from each of the above-mentioned areas. 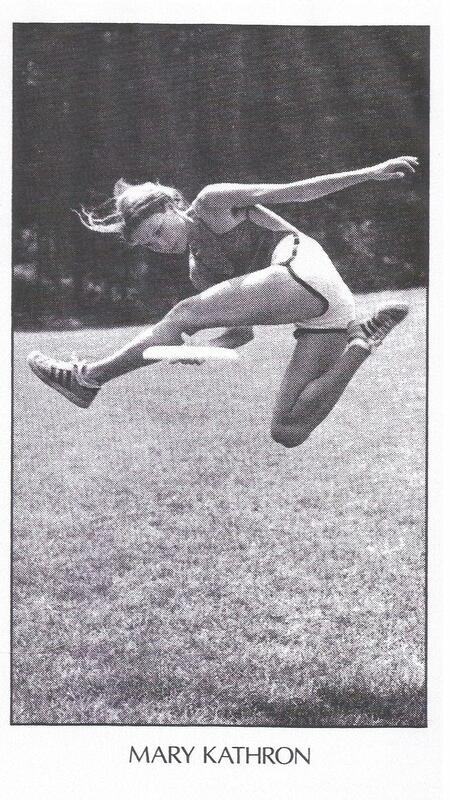 After 1974, interest in Frisbee and disc sports exploded across Canada. Jim Kenner and Gail McColl moved to London, Ontario and founded their disc manufacturing company Discraft. Ken Westerfield and Mary Kathron began a Professional Frisbee show called GoodTimes, performing in Canada and the United States at universities and sporting events. Also, there were several sponsored Frisbee touring shows coordinated by Bob Blakely as IFA Director at Irwin Toy with Orange Crush, Air Canada and Labatt’s Breweries. Orange Crush even provided logo painted motorhomes with several touring Frisbee teams to do shows at fairs, sporting events, shopping malls and schools across Canada. Bob Blakely, Ken Westerfield, Mary Kathron, Ron Leithwood, Mike Sullivan, Brian McElwain, Kevin Sparkman, Stuart Godfrey, Pat Chartrand, Peter Turcaj, Gary Auerbach, Jim Brown, Bill King and John Anthony were the touring freestyle performers in the series and became the foundation upon which Freestyle grew in Canada. Last Article | Next Article.